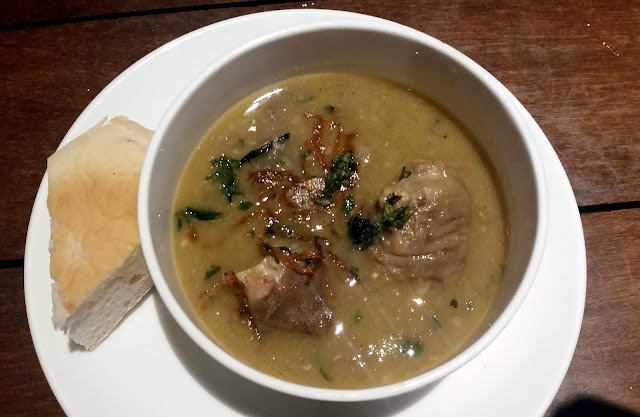 Green Park’s Boneless Mutton Haleem is definitely one of the better ones in the city. Though puritans have often scoffed at haleem without bones, I like the perfectly blended preparation with abundant meat and ghee. The hotel has high expertise in this dish as they prepare in all through the year, and have been able to maintain the consistency in taste over the years. Only on very few occasions during the twenty years, I have found the haleem not up to the mark. In 2018, on my three helpings on different days so far, I found the haleem here is a tad spicier than the earlier years. But, that seems to be the trend all across the city, sadly. The ratio of meat to wheat is pretty decent and the level of spice is adequate. Everything is blended together to a porridge-like consistency. The amount of ghee used here is also less than conventional places. We need to mix the garnishing of fried onions and a dash of lime on top before tasting. I personally enjoy my haleem with a bit more mint leaves in it. 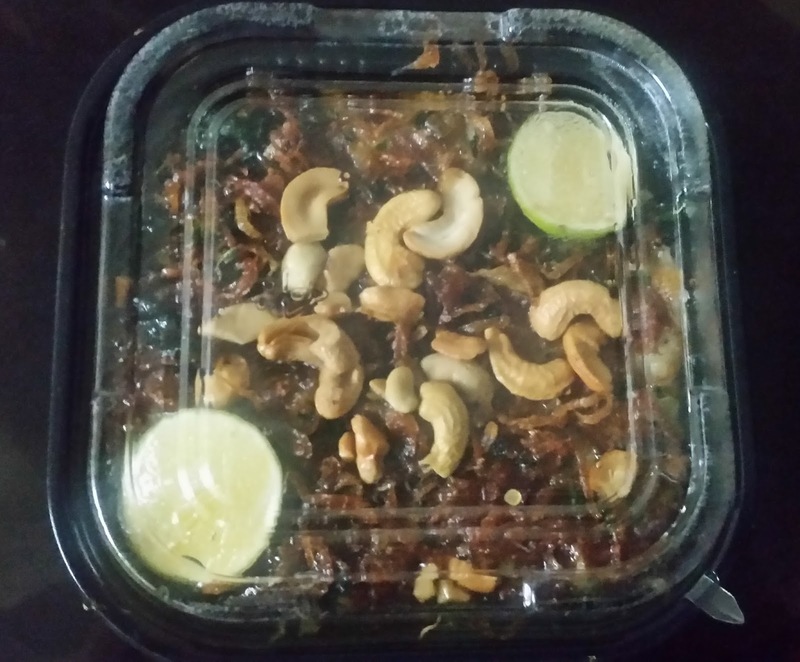 Overall the haleem is boneless, less oily, medium spicy but quite delicious. 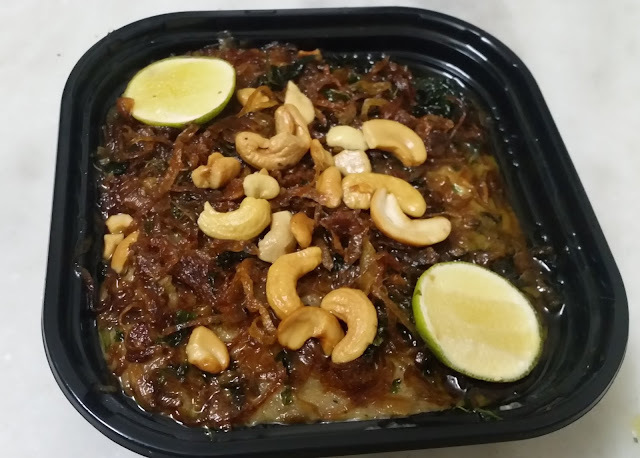 For the takeaway package fried onions, lemon wedges are also provided in the haleem. Overall the packaging, which has been specially designed, looks clean, hygienic and attractive. For some people, who are particular about the hygiene factor of major haleem outlets, Green Park is a place where you can enjoy your haleem. A single haleem costs Rs 215, whereas a bigger full haleem is Rs 265. 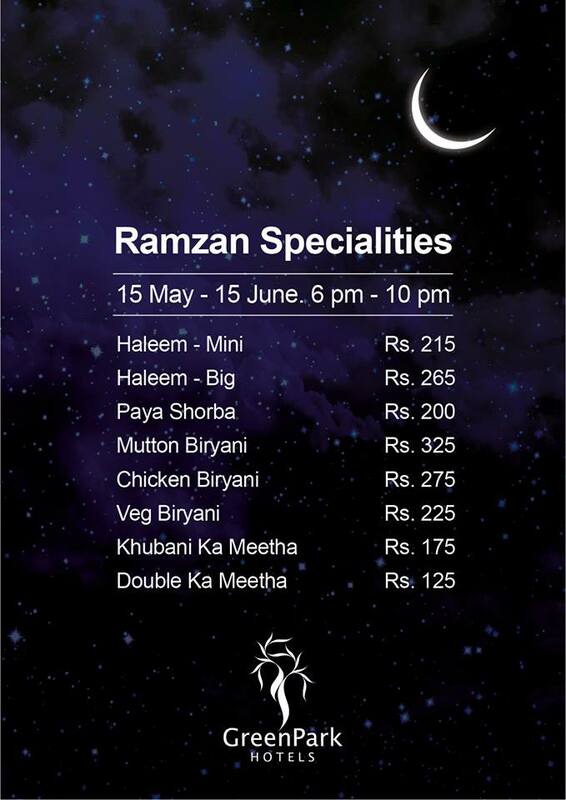 The counter also sells other delicacies for Iftar. 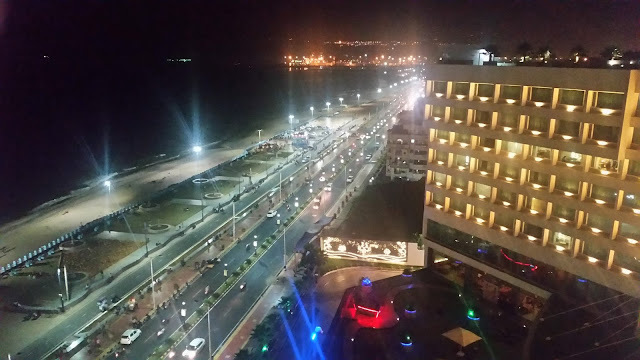 The Paya Shorba here is tried and tested from their popular Midnight Buffet. They also have three varieties of biryani and two varieties of desserts in the special menu. 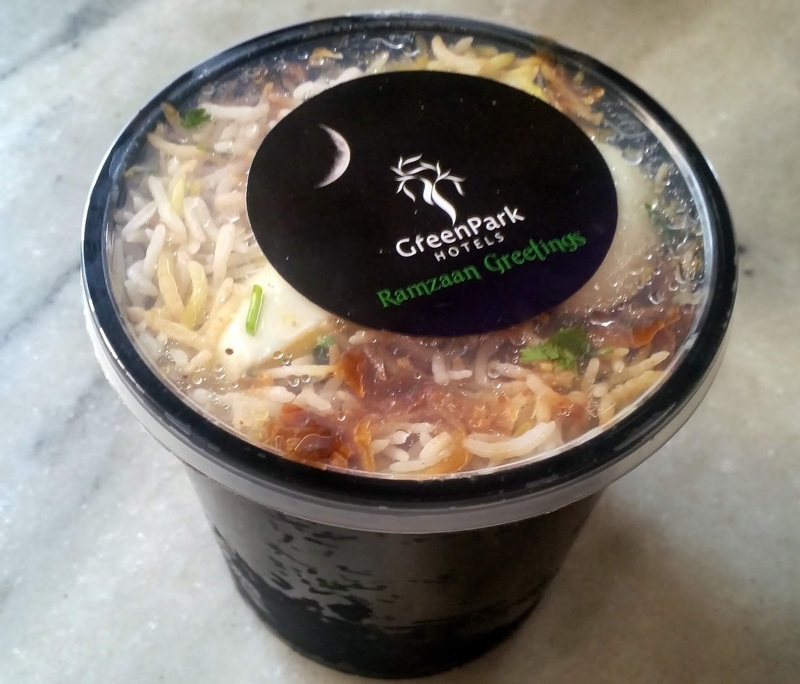 I have been a fan of Green Park biryani for long, and one should especially try out their super Mirchi ka Salan which comes with it. 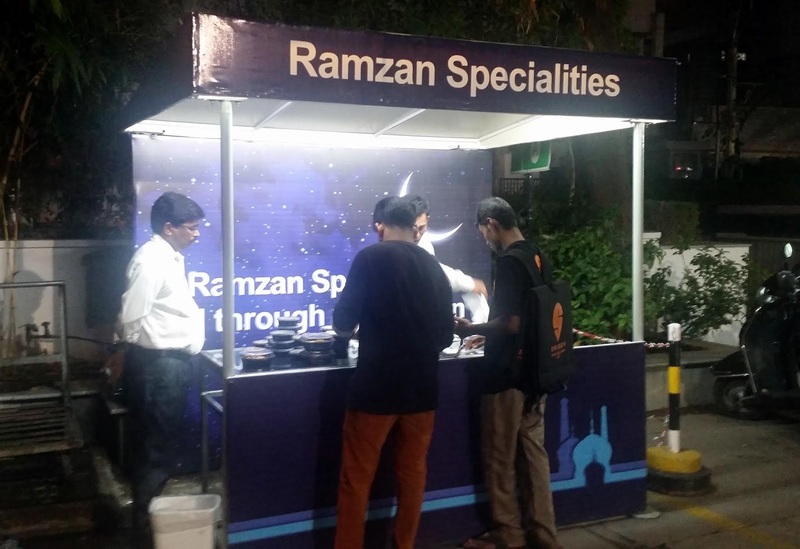 A special counter at Hotel Avasa, Madhapur also sells their haleem and other iftar products.